Issue of Concern being addressed: marine conservation/waste management. 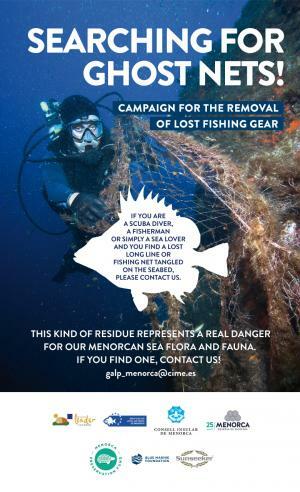 This campaign is designed to remove lost or abandoned fishing gear that could be harmful to Menorcan marine flora and fauna, in order to avoid ‘ghost fishing’. It sits within the PROJECT MENORCA a marine protection programme designed by the Menorca Preservation Fund, Blue Marine Foundation and Sunseeker International. A call to action will be launched to all stakeholders within the fishing and diving communities to report any abandoned nets or longlines that they see. Communications are sent out via social networks and by working directly with Menorca’s Local Action Group of Fisheries, the Local Fisherman’s Guilds, recreational fishing companies and diving centers. Once the nets are located, the campaign aims to make a presentation showing the impact of these nets and the process of their removals to raise awareness of the fragility of the seabed among those who love and rely on the marine environment. Joint trips with diving centres and fish boats to remove ghost nets. 5 months. Starting June 2018. 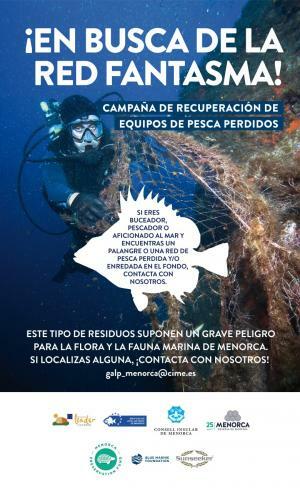 The Local Action group of fisheries of Menorca collaborates with Leader Isla de Menorca Association and MEPF to carry out a removal campaign of abandoned/lost fishing nets at the sea (long lines or fishing nets) as to avoid “ghost fishing”. This kind of residue represents a real danger for our Menorcan sea flora and fauna.